Good morning! How was your weekend? I'm happy about daylight savings even though there's a bit of adjustment ( just a bit??? ha!) I'm happy for the chance to have a longer sunnier day! 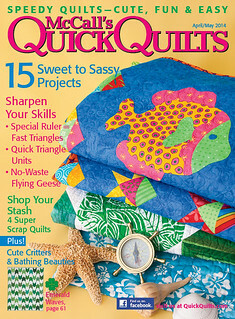 One of the things I did this weekend was find the McCall's Quick Quilt's Magazine. Here's a nice picture of Holly's quilt courtesy of McCalls Quick Quilts. My kit is all ready for me to start sewing. 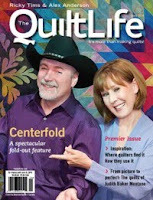 Would you like a chance to win a copy of the magazine and a panel to get you started on your own quilt? Leave a comment and later this week I'll pick a name. Ok, lets all plan on having a good week!! !Happy Monday! P.S. Fat Quarter Shop has kits for the whole quilt, you can find them here. I'm a morning person, so I'll adjust to the time change before the rest of the family unit! But it's so dark at 7:00 a.m. this morning! The panels and quilt kit are really cute! I'm sure you are a fun time sewing yours! I would really love to win both of those. The panel is adorable! I am working on some baby quilts,for my cousin to take to Romania on a mission trip. Wow! I love Pam Kitty! Thanks! That little kit is adorable. Stars in the sashing are one of my favorite little surprises! Would love it! 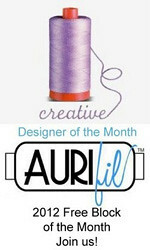 I am planning on a great week with lots of sewing included! Off to work in the dark again, worst part of time change for me. Cute, cute quilt, I love these kitties! 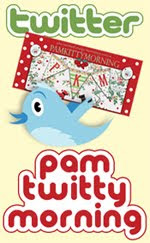 It would be a Pam Kitty thrill to win that cute panel! I'm always happy when I look and touch Pam Kitty fabric. Winning a panel would be the "Cat's Meow. the kitty quilt is just adorable. need to make it and add it to my collection of quilts for my two daughters. too cute! What a sweet quilt! The panel reminds me of the Little Golden Books I used to read as a child - so bright and cheerful! Yes, please. I love my kittites! Cutest kitties ever! Thanks for a chance to win! Cute as a button! I'd love to win this great giveaway! Any chance of PKM panels becoming eco-friendly tote bags in the future? Fun! My nephew just announced they are expecting again! I need another baby quilt by Aug! I'd love a copy. I know just the little girl to make a quilt for! What a precious panel. I know a special someone who would love a quilt with it. Thanks for the chance to win. 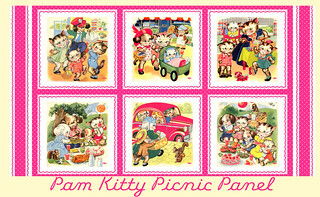 I LOVE the new Pam Kitty fabric, and I would be soso excited if I were to win a panel of kitty cats! Holly's little kitty quilt is a fun treat! Thank you! Love this new quilt. Thanks for a chance to win the magazine and a panel to get started. I have been collecting PamKitty fabric for months now--all I need is the panel and I can make my own kit/quilt! Love, love, love this fabric! 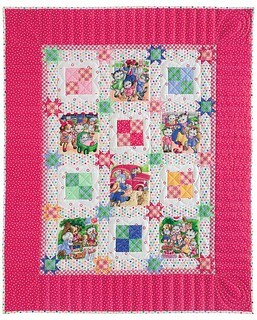 I would love to win this adorable quilt kit!!! Thanks for the giveaway! Very cute quilt! I adore this quilt, and my grand-daughter would adore it as well. So cute! I would be thrilled to win the magazine and fabric. Will head over to Fat Quarter Shop and order the kit. Thanks Pam! 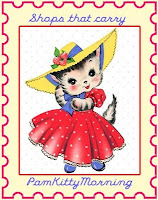 I just love your kitten fabric and cannot find it here in Iowa. So I would love to win the fabric andthe magazine! 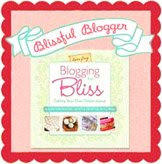 Love your blog...read it every post. Either way with the time change does me in! I love the pretty panel ! Thank you for the lovely giveaway! Lovely quilt!!! Thanks for the chance, and your generosity!!! 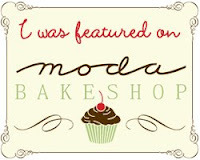 I just found your blog and wow what a talent!. I really appreciate the time and effort you have put into your work. Everything is sew cute! I love the retro vibe of today. 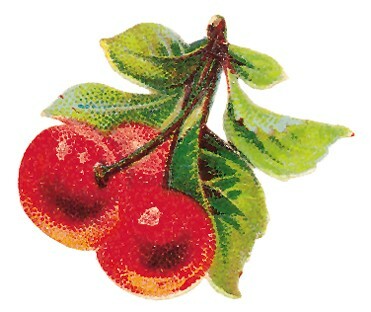 The colors, themes, value of everyday life that it reflects. I would love to win one of your panels and cherish making a quilt out of it. Love the cute Pam kitty Panel and all the fabrics! I would love to win please. Thanks for a chance. Holly's quilt is just adorable! A close friend is going to be a grandma for the first time in June, and she knows it's a girl. This would be perfect surprise for both of them. Love the panel....a teacher had given me kitty postcards 30 years ago and i still love them. love the quilt!